Royal Oak, MI – It’s a sunny spring day and I’m sitting on a bench listening to trilling Redwing Blackbirds, feeling the sun on my face, and watching a pair of Mallard ducks float by. It’s difficult to believe I’m in the city. I have an hour to spare before another event but this is enough time to unwind by exploring one of Royal Oak’s Nature oases. When I am a hundred feet into the woods Nature envelops me. 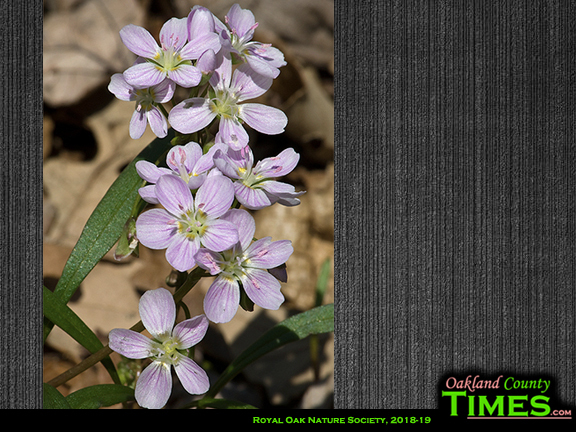 I can experience birds, woodland wildflowers, ferns, squirrels, large trees, a vernal pond. I never know what will cross my path. 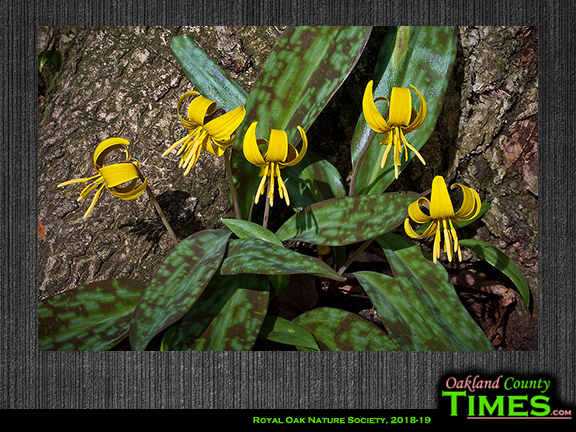 The Royal Oak Nature Society is a volunteer group dedicated to the preservation of Royal Oak’s two Nature Parks: Cummingston Woods and Tenhave Woods. Both are remnants of original settler’s woodlots. The Society maintains the trails, attempts to control invasive plants species, and hosts nature walks. Our nature walks cover a variety of general topics: pond life, geology, plants, birds, fall color, just to name a few. They provide an opportunity to learn about the natural world. Our “Friends of Fungi” group, led by Mary Fredricks, specializes in fungi and slime molds. 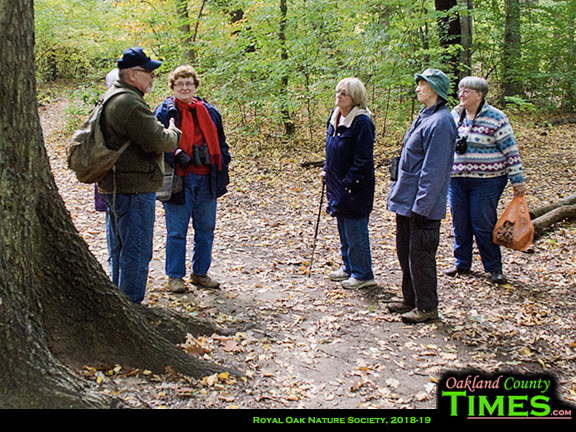 They meet monthly conducting nature walks on the fourth Saturday, April through October and evening speaker’s programs during November, January, February and March. See our website of more details. We do not garden in the nature parks. We maintain the plant species that naturally occur. The Society however is developing an arboretum in Worden Park East. It will have a teaching collection of the native trees not found in the nature parks. We are also restoring a Lakeplain Oak Opening which was the habitat present at this site before Royal Oak was originally settled. Our 14th Annual Soirée is 7:00 PM, Friday, April 26th at the Elks Club in Royal Oak. It is our major fundraiser for the year. The evening includes: a live and silent auction, refreshments, and a cash bar. Our website includes schedules of our walks and programs, maps of the park’s locations and trails, lists of the recorded plants and birds, past issues of the newsletter and how you can get involved. Learn more at https://www.romi.gov/407/Nature-Society.